While fighting in Afghanistan, Major Grant Barrett receives devastating news: his brother and sister-in-law have been murdered in Scarlet Falls, the sleepy suburb of Grant's youth. Emotionally scarred from war, the career soldier returns home on emergency leave to temporarily care for his orphaned nephew and niece. But when someone tries to kidnap the kids and their teenage babysitter, Grant knows it's not a random act…and neither were the murders. When Mike Noonan's wife dies unexpectedly, the bestselling author suffers from writer's block. Until he is drawn to their summer home, the beautiful lakeside retreat called Sara Laughs. Here, Mike finds the once familiar town in the tyrannical grip of millionaire Max Devore. Devore is hellbent on getting custody of his deceased son's daughter and is twisting the fabric of the community to this purpose. Angels awaken when Demons don't sleep. Millie's life becomes chaotic as she discovers the unravelling secrets surrounding her mother's abandonment. As she struggles to make sense of life with her vengeful father and her younger brother, Millie learns to cope through the complexity of new relationships as she becomes aware of her angelic ancestry. Lady Emily Hardcastle is an eccentric widow with a secret past. Florence Armstrong, her maid and confidante, is an expert in martial arts. The year is 1908 and they've just moved from London to the country, hoping for a quiet life. Lillian Linden is a liar. On the surface, she looks like a brave survivor of a plane crash. But she's been lying to her family, her friends, and the whole world since rescue helicopters scooped her and her fellow survivor, Dave Hall, off a deserted island in the South Pacific. Missing for almost two years, the castaways are thrust into the spotlight after their rescue, becoming media darlings overnight. But they can't tell the real story—so they lie. When Noah Wilson first encounters the quirky, opinionated and very beautiful Angel Fallon, his world is turned upside down. It's clear she's not his normal type, but Noah can't stop thinking about her—which doesn't bode well for the blind date he's already late for. Martin Banks is just a normal guy who has made an abnormal discovery: he can manipulate reality, thanks to reality being nothing more than a computer program. With every use of this ability, though, Martin finds his little “tweaks' have not escaped notice. Rather than face prosecution, he decides instead to travel back in time to the Middle Ages and pose as a wizard. He was my boss, my brother's friend, a Widow, an ex-felon, and a man I'd seen casually with a handful of women. But he was everything that gripped me, both the good and the bad. Worst case scenario if things turned awkward between us, I could go somewhere else. I'd gotten over epic heartbreak before, one more wouldn't kill me. Four years after 1989 the people of the GDR are rebuilding their society—an experiment in self-determination, de-centralisation, freedom and equality. But Martin Grobe, a dissident turned investigator suspects a Stasi plot—can he act fast enough to save the young country? Now they need her help. Shy lab tech, Mary, can control minds. She has yet to realise her full potential. Russian terrorists want to exploit her. British ministers want her locked away. Who will succeed in weaponising her mind? Jo is five months pregnant with the baby she always wanted, and on the surface she has the perfect marriage to David, the love of her life. The only thing marring her happiness is the secret she's hiding from her husband. 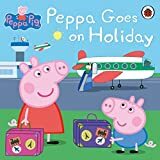 Peppa and her family go on their first holiday abroad. They pack their suitcases and fly all the way to Italy, where they eat pizza and go sightseeing. But there's so much to see and do that Peppa keeps leaving poor Teddy behind! Will he make it home in the end? A first experience story that's perfect for pre-schoolers. Lady Agatha looked around the gathering in her library. Her son Reggie, grandsons and nephews? No. The colonel or the bishop? Surely not. The Foster-Wortley man – who had invited him for the weekend shoot? James, the butler? Hardly likely.